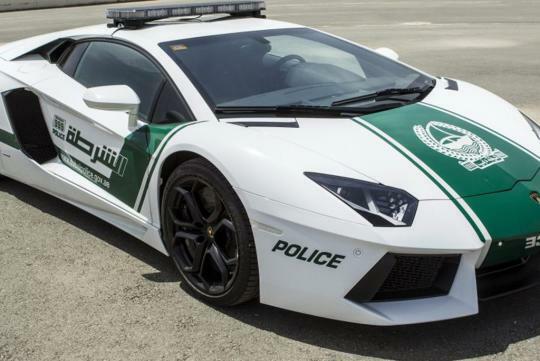 Just four days ago, I wrote of the Dubai Police Department adding the Chevrolet Camaro and the million dollar Lamborghini Aventador as a cop 'cruiser' car. Now another set of wheels from another Italian marque joins the Aventador, in its quest to cruise around the affluent city streets to promote the area's image as a mecca for money - The Ferrari FF. The FF is a two-door, four-wheel drive shooting brake which sits four in some of the finest leather offered by the Maranello factory. If memory serves, the FF was an attempt by Ferrari to answer customers' calls for a family cruiser that is suitable for most weather, rain or snow with comfort with adequate boot space for your ski equipment. 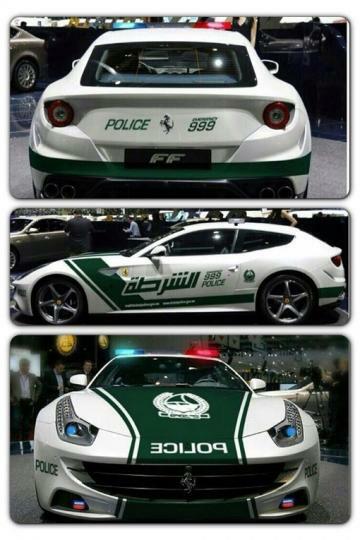 It measures 4,907mm long, sits 1,953mm wide and stands 1,379mm tall and is powered by a 6.3-litre NA V12 - akin to the F12berlinetta - which produces 651 prancing Italian horses and 683Nm of torque good for a 335km/h top speed.